Autumn is well and truly here… leaves are crunchy and it’s getting chilly AND it’s almost Half-term holiday! A great place to take little ones to play with lots of toys, games, activities, and enjoy a bite to eat and drink too! Face painting, Treasure Hunt, Spiderman climb & more. Wear your favourite superhero outfit and get a kids go FREE voucher to the Waterpark. Join LC for fun & games, fancy dress competitions, spooky music, a visit from Tommy & 1 hour in the Play area. Call 01792 466500 to book your space. 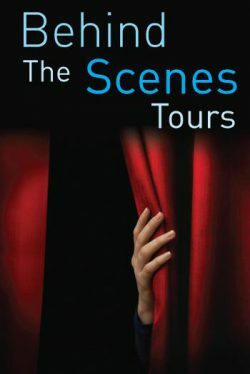 Meet, greet and eat some creepy crawlies if you dare! Enjoy some Halloween fun at our ever popular Animal Antics show. 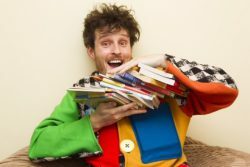 Meet Alf: a colourful, captivating character who LOVES to read. Join him on a magical adventure as he explores some of Roald Dahl’s most intriguing stories. This lively interactive show will unlock your imagination and sense of fun. 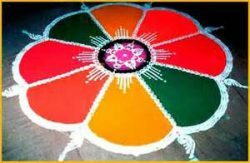 Help us make beautiful Rangoli patterns using colourful powders and learn about the different symbols. Rangoli is a Hindu art used to decorate homes and bring good luck during festival time. Join us for an unmissable day of spooky fun in our mysterious Museum setting! Hear ghostly tales, make creepy crafts, meet some unusual characters and discover whether you are in store for a trick or a treat after completing our ghoulish trail! With Toys R Us Layaway, you can reserve now and pay later! The BFG: Saturday 22nd October – Sunday 30th October. Around 10am. Finding Dory: Saturday 22nd October, Monday 24th October – Saturday 29th October. Around 9.45am. The Secret Life of Pets: Saturday 22nd October – Saturday 29th October. Around 10am. Magical worlds come to life before your eyes every Saturday, every Sunday and every day when school’s out. And tickets cost just £2.50 each for little people and grown-ups alike. Here are a selection of films and times. Finding Dory: Saturday 22 October – Thursday 27 October, 10.15am. Pete’s Dragon: Friday 28th October – Sunday 30th October, 10.00am. The BFG: Saturday 22nd October – Thursday 27th October, 10.30am and Friday 28th October – Sunday 30th October, 10.15am. The Secret Life of Pets: Saturday 22nd October – Monday 24th October, 10.00am and Friday 28th October – Sunday 30th October, 10.30am. Get ready for some Halloween fun at The Quadrant with the charity Guide dogs! They will be hosting some spooky craft activities including making ghost finger puppets, lolly crawling spiders, spooky masks and even a ‘make yourself a mummy’ competition! There will also be a face painter on hand to create your Halloween look! Make sure you don’t miss out as the charity will be bringing their guide dogs dressed in Halloween attire as well! The Ghoul School Gates will be open with Spooktacular School Entertainment LIVE on stage at Castle Square, kicking off with school assembly and hilarious lessons running throughout the day on Saturday 29th October. 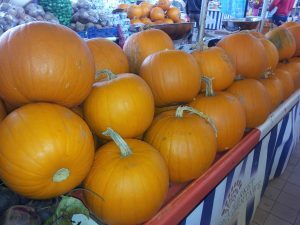 Join us at the centre of Swansea Market from 10am to 4pm for FREE family Halloween fun. There’ll be a Ghastly Ghost-hunt with a FREE toffee apple for every ghost-hunter, Gruesome Grub-making activities and spooky face painting. Following on from the success of the recent British Science Festival, Oriel Science in partnership with Swansea University will be putting on some exciting half- term hands-on workshops. The Oriel Science gallery, Princess Way, Swansea, SA1 5HE will be open daily from Saturday 22nd October to Sunday 30th October, between 10am and 4pm. Boats that Float: a fun, interactive workshop on forces and motion. Be prepared to get splashed! Fantastic feathers: how do birds fly? What are feathers for? A hands-on biology, ecology (and colouring) workshop. In addition, Engineering Education Scheme Wales (EESW) will be hosting a workshop daily from Saturday 22nd October to Sunday 30th October where children will be able to build their own Jaguar 2D cars and race them down a Formula 1 track at speeds of up to 30 miles per hour.